*Sniff* I can't speak of it! Now, now Veez, show us on the anotomacally correct miniature where the brotherhood fig touched you. I'd pained me to do it, but the mini was a B-day present for a good friend. It's the head and shoulder off of a fury elite sergeant. That's pretty funky - lots of detail that draws the eye. 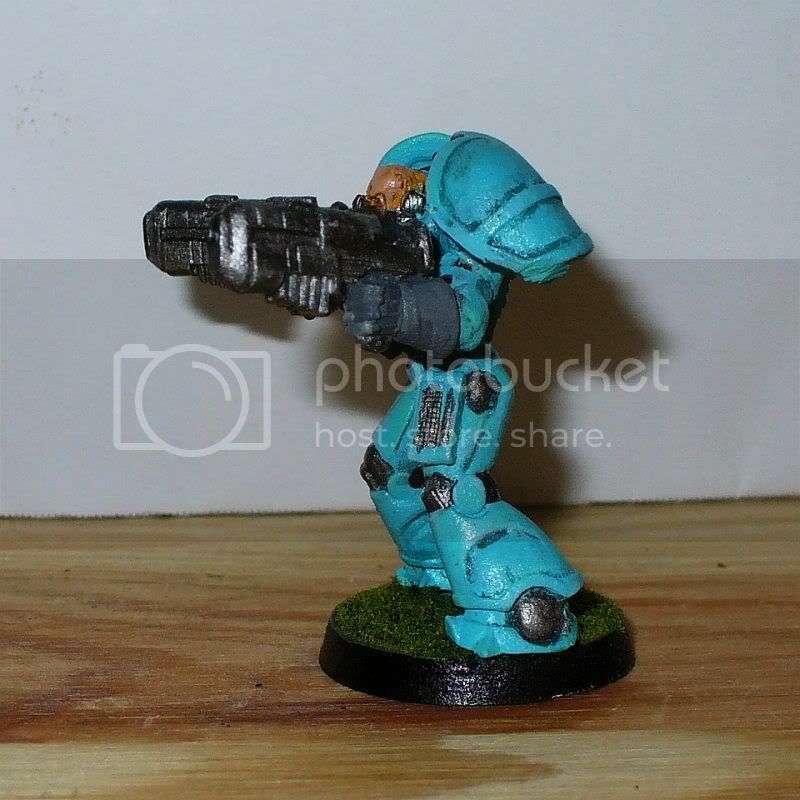 One conversion was for a squad I was doing, I only managed one fig. Idea came from an old Chronicles of the warzone mag (issue 7,8 or 9) for Imperial Trench assault troops. These were armed with either two shot gas sprayers or a flamethrower (both template weapons, totally nasty in a confined space). I took the Trencher HMG and hacked, chopped and filed 50% of the Charger off, leaving the handgrip sections and top. With a bit of milliput and glue, I added the fuel cylinder and nozzles part of a plastic terminator heavy flamer from Space Hulk. Looks pretty decent as figures go and a darn shame that a Trencher squad doesn't include a gas or flame thrower option (not counting storm trenchers). Sorry about the crappy photo, its a scan. Plus my painting has improved a hell of a lot. used Chaos Warriors from WHFB and completely sculpted the head as well as moved the arms around a bit. 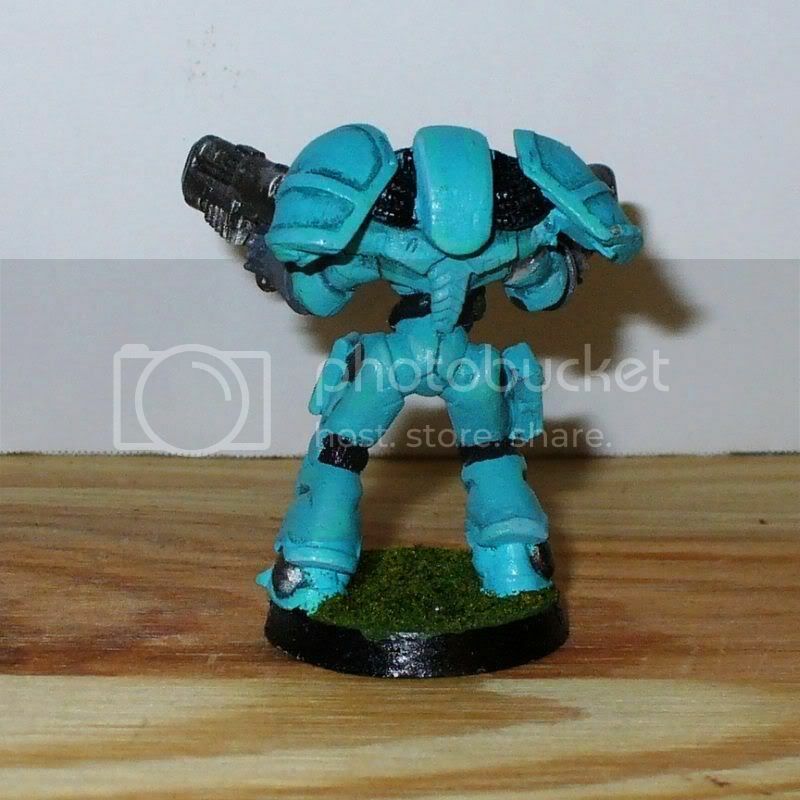 That's an awesome conversion! Really dig the sculpted head. BTW, how did you convert the gun? The gun is a bit from the Ork bike with a gargoyle head from the Spiky bits sprue. Here's one I did a few years ago. I built him using mostly Robogear parts from Tehnolog. The humanoid torso was a figure from a Milton Bradley game called BattleBall, whom I clipped off at the waist and snipped his arms off. The crab claws were some bitz from an OOP game called Ronin. It captures the look and flair of the fluff like nothing else! I had been looking at the technolog spider for the bases but what I really wish is to get my hands on the claws! I think we would all like to see more pics of your stuff. the guns are a little too big, imho, but not so bad. Yeah, the guns are a bit big. 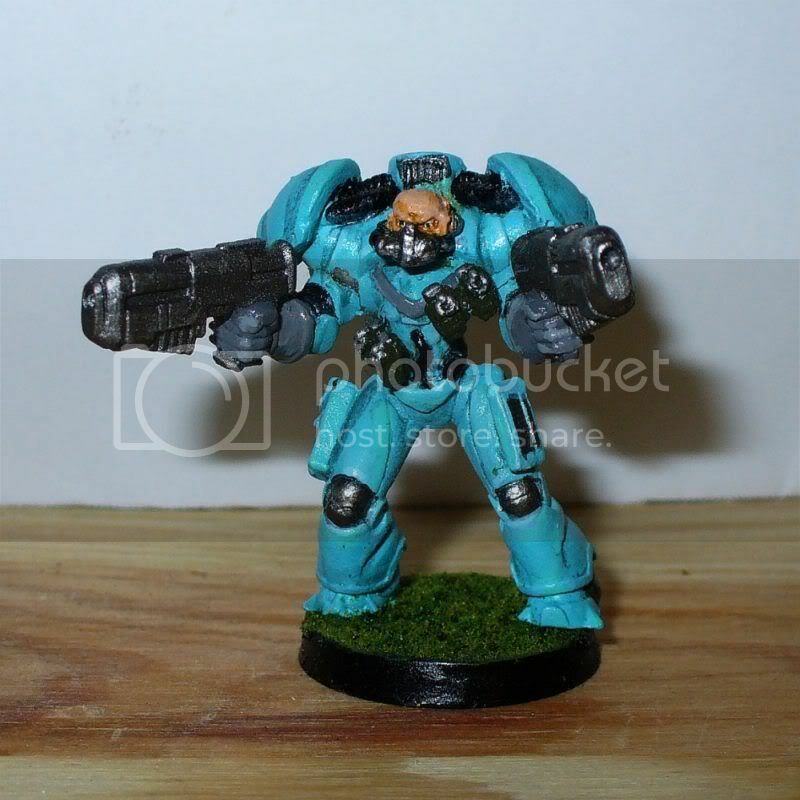 However anything smaller would just seem undersized for this model. 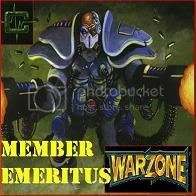 Besides this is The Mutant Chronicles, home of big guns and bigger shoulderpads! Neat! Must be a Void model originally, right?